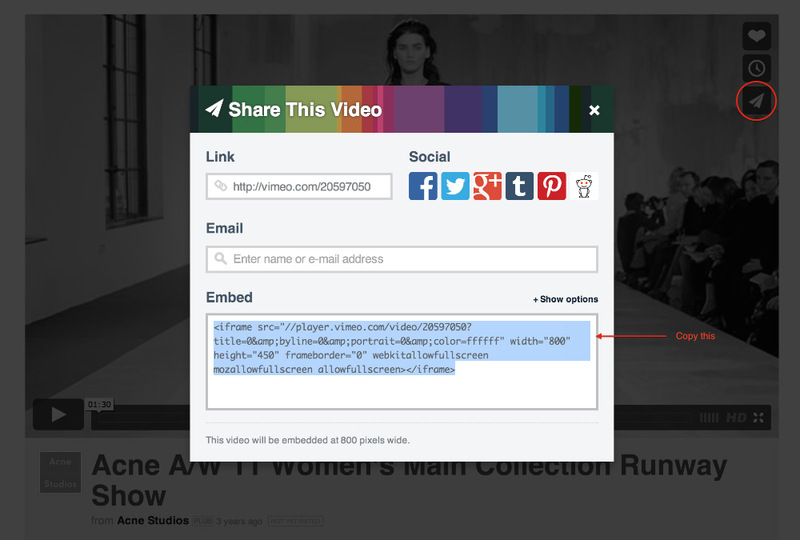 You can embed responsive video into any Rich text editor (RTE) on your store in areas such as pages, product descriptions and blog posts. To do this, locate the RTE on you for the area you wish to add video to and toggle the 'Show HTML' button < >. Paste in your video <iframe> between the following div tags and add the whole div to your editor in the position you want it to appear.